Keeping Reviewing and Ranting to an Artform. Book Review: Demon Bashing and maybe…a barcalounger. 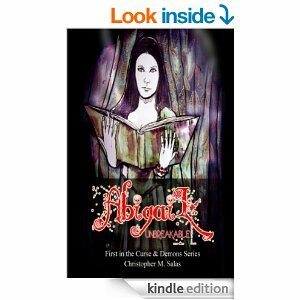 Abigail Belcescu is a Romany girl who would have grown up to be a gypsy traditional woman had not her grandfather Papo, a Kulath, passed the torch of trapping Demons to her. Now she is stuck as a teenager in size and appearance for hundreds of years, sometimes in her own mind. The story construction is excellent with Abigail continuing her quest across significant eras in American history as she wields the enchanted sword Kr’sis to soften up the demons before binding them. I enjoyed this very much. There are some editing issues that all writers struggle with but in this case they do not interfere much with the delivery of the story. 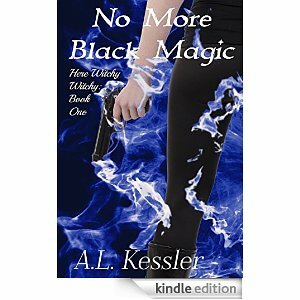 If you enjoyed Buffy the Vampire Slayer or the spin off Angel then you will like this work. I’m giving this one a three out of five. Episode 34 – Is Constantine Coming or Going? We have a new Episode out. The Flight of Fancy, of the ‘I forget the name’ star liner company, was ferrying a roster of Biological Scientists to a newly established world to set up a research station beyond the rim. They didn’t even make it to the orbital habitat. Being swarmed by unknown ships that robbed them of their jump capability they submit to the boarding by…aliens. The Krull, being a warrior species that constantly competes for status within their society-clans which equates to the privilege of breeding, are stocking their training planet Koban with potential adversaries to test prey species. They want to see who is worthy to attack and who just needs extermination on their path to Galactic rule. 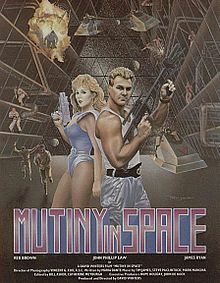 The crew of the Flight of Fancy and previous captives need to find a way to work together to defeat the Krull in their testing days. They need to prove that humans are worthy of battle, not just extermination. I really enjoyed the book so much that when it was over I went and bought the next three installments. A detractor from the work itself was the use of English units rather than metric but the overall science portion was not hand wavy. Well done. My expectations are high now…just saying. 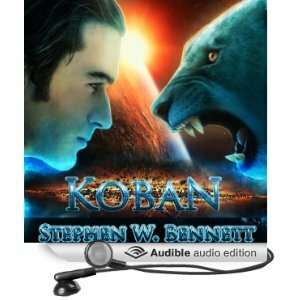 The narration of this work was well done; I especially liked the mimicry of the Koban wildlife sounds and the ranges between characters. That being said I think the conversational related chuckles could have been used more conservatively but it did not detract from the overall performance. Four out of five satisfaction units go to this. New Trailer for Outcast and man am I envious. 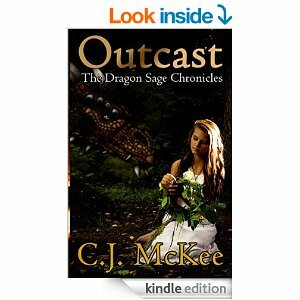 Outcast by CJ McKee. Click on the cover. Angus Day goes on an ECO-kick with Truly Organic. The front matter is an essay written by Nathan Fillion of how his family had a thing for comics or anything to be read when he was growing up. It was very well written and an excellent intro for Volume 1 of this series. The 4-5 stories or episodes of this volume track well with the series as I believe they were meant to, although Shepherd Book plays a bit of a more active role in the start here. 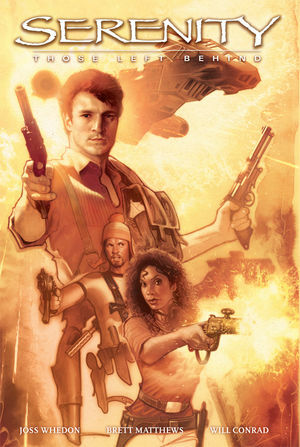 The last ten or so pages are commentary by Joss Whedon on creating the ‘verse and Serenity concept artwork. This is a very well done comic and in line with my tastes as a space opera fan. One Hummingbird, lots of frenzy!